Sat in the Oxenhope buffet tucking into your pie and peas, we think it unlikely that you will ponder over this delicacy and wonder how the pie arrived on the Railway. If you were to guess, we would imagine that your thoughts would turn to a wholesale supplier sending them by carrier in cardboard boxes. You couldn’t be further from the truth. To steam and diesel engines add the good old faithful horse and cart and substitute a wholesaler with C. & L. Herd, butchers, of Queens Road, Keighley. The Keighley & Worth Valley Railway is very proud of our sourcing as many supplies from the local area as possible and in this case it could not be more local, Chris Herd has his own farm in Oxenhope where most of his meats are sourced. The Keighley and Worth Valley Railway has been buying pies, pasties and meat supplies from C. & L. Herd for a number of years, but recently some deliveries have started to arrive by horse and cart much to the delight of passengers, passers-by and staff. This helps to turn back the clock for the railway, which is, of course, reproducing a past era to the days when all goods were delivered to and from stations by the trusty horse and cart. So next time you are in the area, make Oxenhope Buffet, your first stop for morning coffee, a light lunch or an afternoon break. 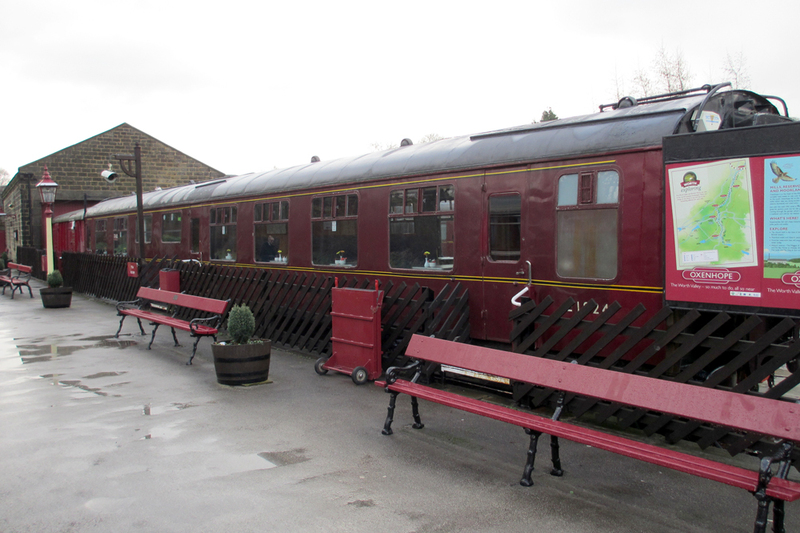 The Buffet is open every weekend and each weekday when trains are running and Wednesday – Friday when they are not. Is David Petyt, Director – Customer Operations, having a word with the horse to leave something behind for the Railway’s award winning gardens? Next year’s blooms may give us the answer. The next time you eat in the Oxenhope buffet, spare a thought for those who serve you, confined in that tiny space and at times dealing with a crush of passengers on arrival of a train from Keighley. Not only do they serve up a good selection of drinks and food but you may ponder just how does the food preparation area fair in relation to the legal hygiene standards and to what degree of cleanliness do they achieve when there is no room to swing the proverbial cat. The answer, food serving areas do not come any better than Oxenhope buffet. Today the buffet had an unannounced inspection by the H.M. Government health inspectors from the Food Standards Agency and we are delighted for Christine Laycock (pictured taking a break from the Tour de France) and her dedicated team who were awarded the highest rating – 5 STARS. When asked to what does she attribute this award, her response, as always is “Hardwork and teamwork from all the staff and volunteers.” The Railway is justifiably proud of Christine and her team. Oxenhope & Keighley Buffets – Can YOU Help! 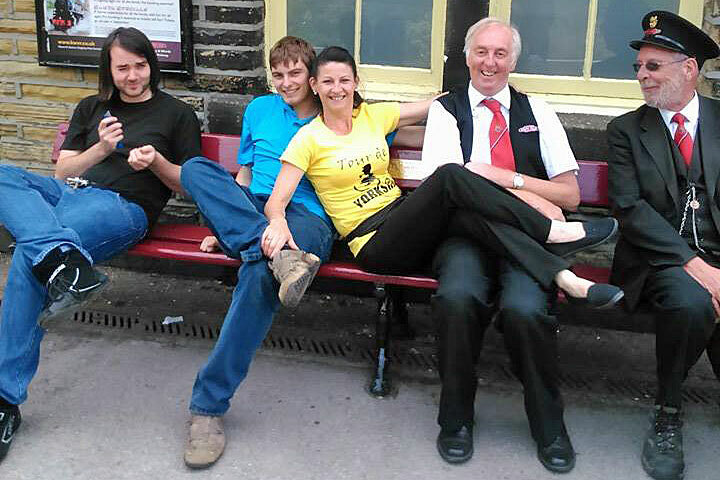 What better way to spend your Saturdays and Sundays than helping out on your favourite railway. Success brings its own problems and the buffets have been so busy they now need YOUR help. 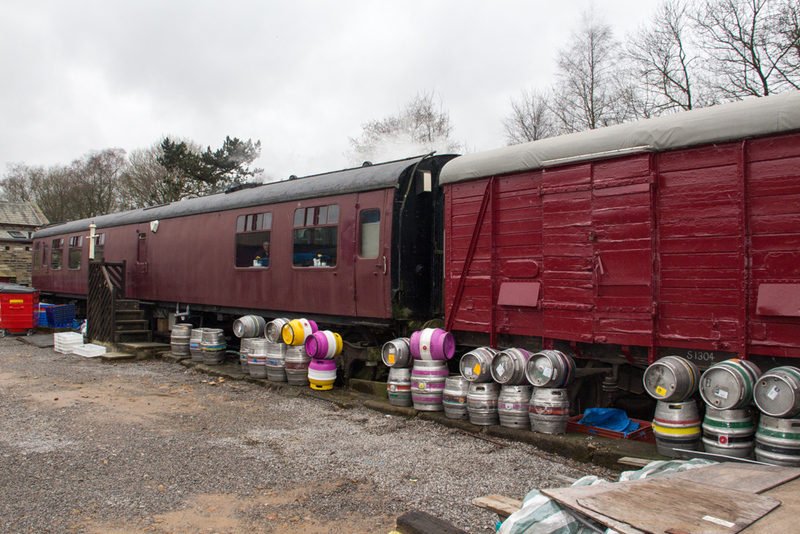 Passengers and working members alike appreciate the buffet facilities at either end of the line where there is time to sit and enjoy the catering facilities whilst the engine runs round to quench its own thirst before tackling the next journey up or down the Valley. 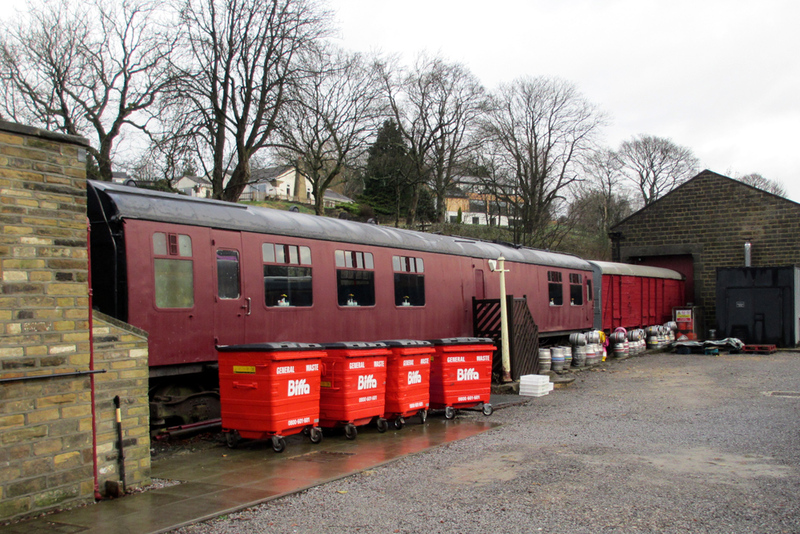 In 2013 the Railway announced plans for a major redevelopment of the Oxenhope station environs centring on the provision of a permanent catering facility to provide visitors with a more substantial eating experience. The Oxenhope area is a Conservation Area and as such any developments have to be sensitive to the local environment. Taking the myriad of issues that surround conservation areas into consideration, plans sensitive to these issues were submitted for consideration by the planning authorities and a number of issues were raised by the Conservation Officer. The railway responded to the challenges he made to the original plans to his satisfaction and the Railway is pleased to announce that approval has now been granted, subject only to some ‘standard’ conditions but with no significant changes to the original design. Now that planning approval has been received the Officers of the Railway can now work on the business plan to take this significant development forward. Photographed on a wet Sunday in March the current catering facility looks forlorn and perfectly illustrates the great benefits the new café will bring, not only to hungry visitors but also to the aesthetics of Oxenhope station itself.